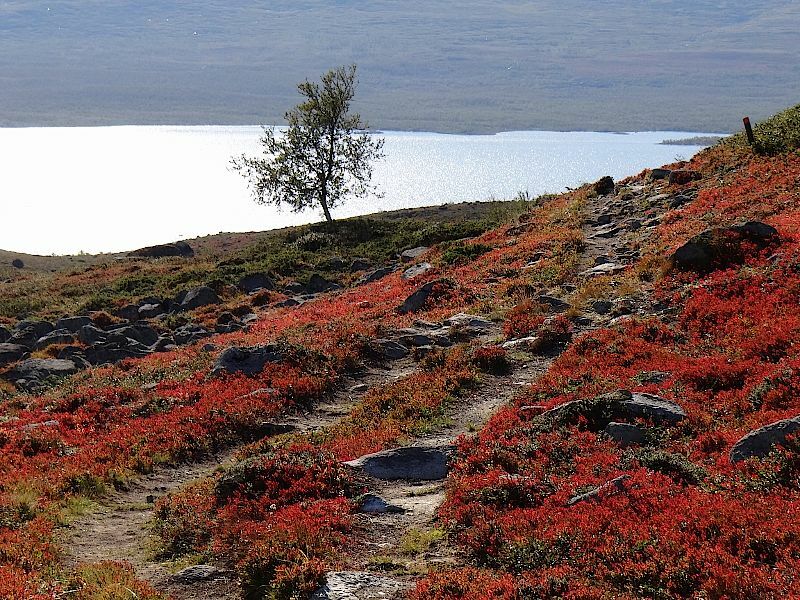 Discover the wild landscape and beautiful autumn colors of the Finnish Lapland with this great summer hiking trip. Markus, a certified GeoGuide, takes you on this tour that includes a day trip to the city of Tromso in Norway. 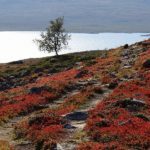 I invite you to experience the Finnish Lapland in the most beautiful colors, at the end of summer, when autumn is already coming and nature dips vegetation in warm reds, yellows and oranges. 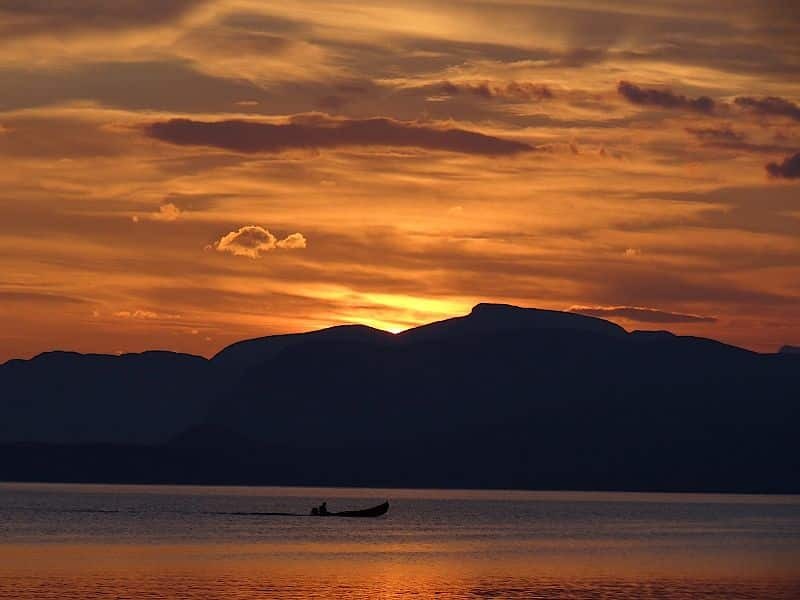 Join me on this 9-day hiking trip and discover the wild natural beauty of Lapland, the largest and northernmost region of Finland, with a day trip to the Norwegian city of Tromsø. 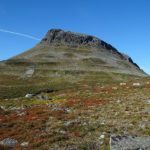 We will be based in the remote area of ​​Kilpisjärvi, the village with apparently the cleanest air in Europe, in the border region of Finland, Sweden and Norway. From there, we will make star-shaped walks, starting sometimes directly from the hotel, with the taxibus or sometimes with a ship. 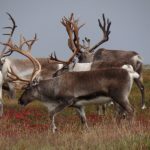 You will discover an amazing wild destination, with reindeer wandering freely on the Tundra landscape, crystal-clear streams and deep blue glowing lakes. Every day you have the option to decide if you want to participate in the hike or do something on your own. We will have plenty of time for hiking, experiencing nature and the silence and seclusion of the area. Sometimes we visit a tupa or kota, simple huts, where we can set up a fire. We also have a summit on the program. 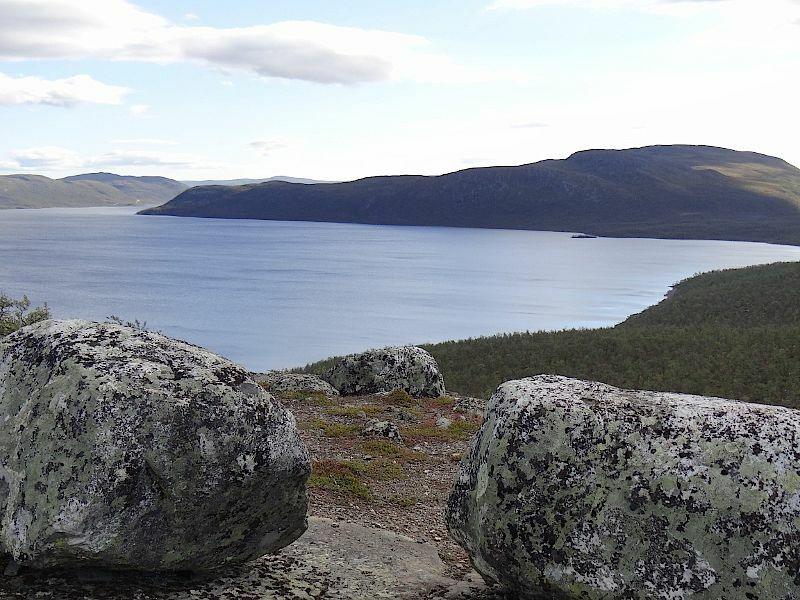 It is an easy hike, with a wonderful panoramic view of three countries and the Tundra landscape. 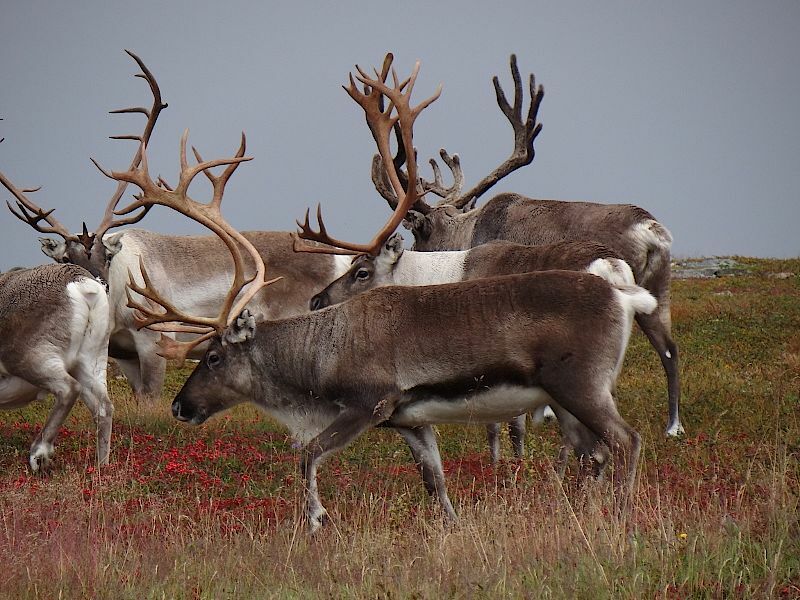 We expect to see many reindeer wandering freely during these days and to take pictures of them. This is their habitat and it is also the land of the Sami, the original nomadic people of the polar region of Europe. 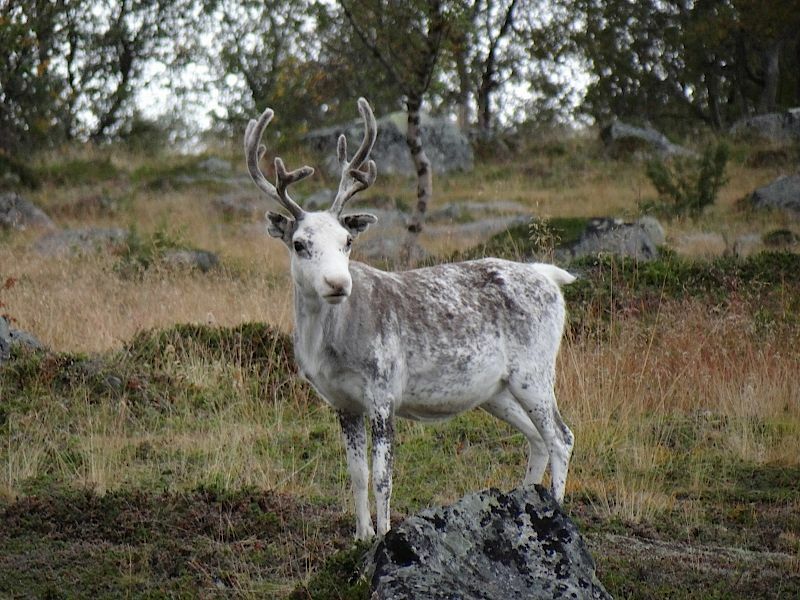 We will also visit a reindeer owner, who will tell us about the life of reindeer and the Sami. Our programme includes a day trip to the Norwegian city of Tromsø, the “Gateway to the Arctic”. 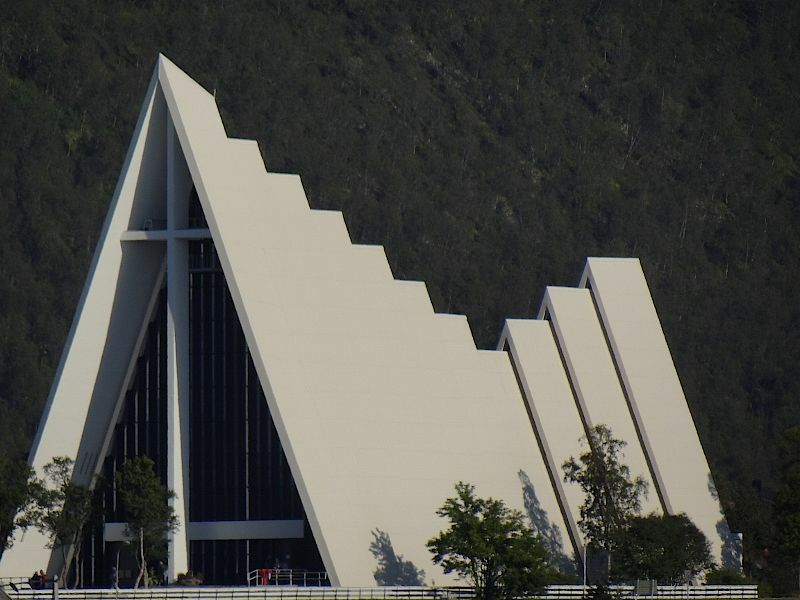 It is the largest city in northern Norway, located between the sea on one side and beautiful mountains on the other. The magical Northern lights can already be seen during this time of the year, and sauna is also included in the programme, making for a great short visit to Norway. We will fly comfortably, with only one change, from Zurich to Kittilä. From there we continue with the shuttle bus, for about 2.5 hours. 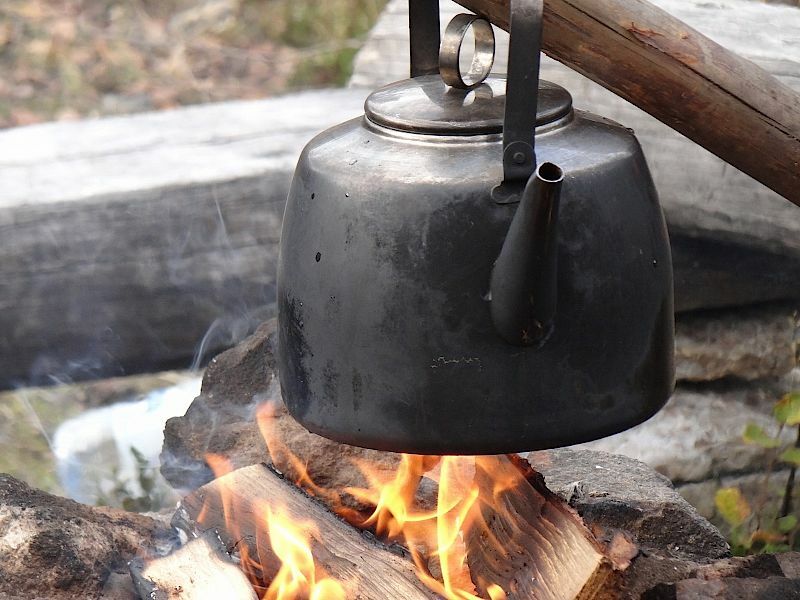 This short trip will be an ideal introduction to immerse yourself in the Lapland countryside. Every day, we will hike for about 3 to 5 hours, with a total height difference of 200-700 metres. This is a hike of intermediate level. The terrain is mostly easy, with good trails. 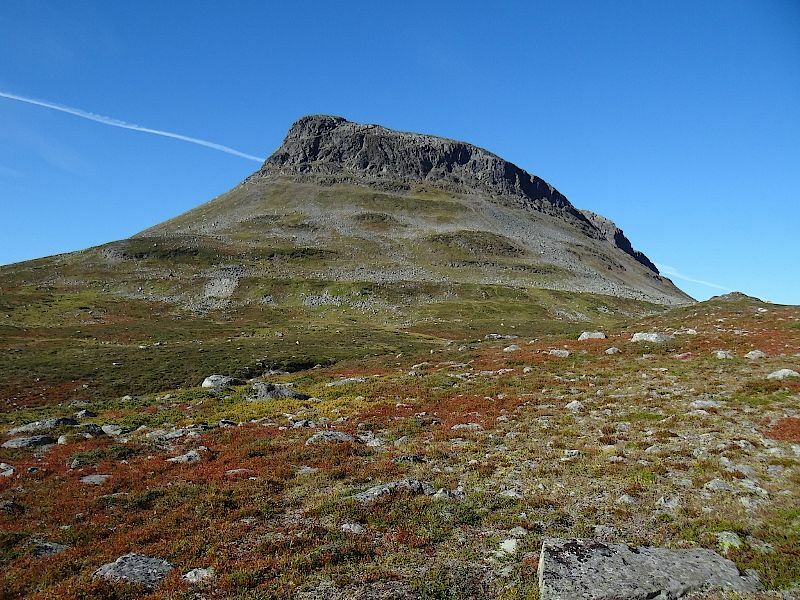 The hilly tundra landscape is partly rocky. I am a multi-lingual guide and I also speak fluent Finnish. I have traveled to Finland and especially to Lapland for about 20 years. I know the different areas very well, from west to east, north to south and I am always eager to visit Finland again. So what are you waiting for? 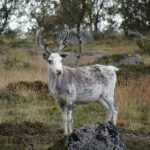 Join me on this unique hiking trip to the Finnish Lapland and enjoy a wonderful experience. Check the date below and book your trip! I also offer many other hiking tours in Switzerland. The price includes: Travel organization and management by multilingual and local guide; flight with Finnair Zurich - Kittilä, economy class, round trip (change in Helsinki); 8 nights accommodation in Mökki (Blockhaus) -Appartment (base 2 people/breakfast is included) visit to reindeer farm or other local cultural activity; excursion to the Norwegian city of Tromsø and guided tour of the city by a local guide, german-speaking guide included; guided tour in the Polar Museum; shuttle bus return ride Kittilä-Kilpisjärvi; all transfers during the planned hikes; short Finnish crash course. /// The price does note include: Log cabin apartment for single use (CHF 490); lunch, snacks, dinner, drinks; any admission fees and activities out of program; any additional transport locally out of program; daytime activities; insurance (completion of cancellation costs and other insurance recommended). Arrival by plane from Zürich to Kittilä and continue with a shutle bus to Kilpisjärvi. We head to the Mökki apartment (log cabin), our base during the upcoming days, and have dinner. During these days, we will enjoy many hikes, of different length, in this unique region. Sometimes we will start directly from the from the hotel, sometimes with a (taxi) bus or a boat. 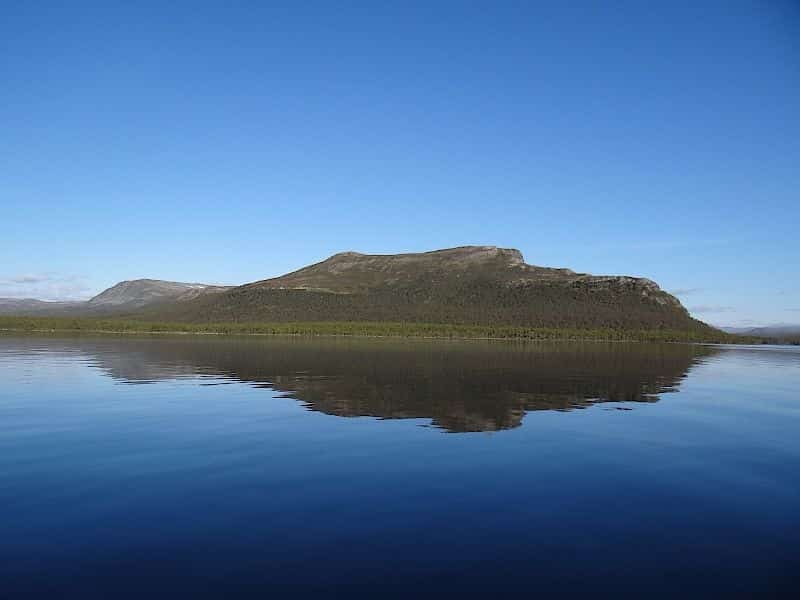 You will be amazed by the wild tundra landscapes of the Finnish Lapland. One day, we will visit a reindeer farm or do other local cultural activities, like listening to a Sámi, telling us stories of their everyday lives over crackling fires and also singing Joik songs. We also have a day trip to Tromsø (Tromsø) in the programme, and one free day, for you to to choose what you want to do. We will walk in the tundra, which is typically discolored at this time of the year, a reminiscense of the Indian Summer. Dwarf birch trees, which are usually barely man-sized, berry shrubs and bogs dive into warm yellow, red and orange tones of autumn. The Finns also call Ruska this time of autumn colors splendor. It is short and intense and marks a transition to the long winter. During the Ruska period, however, we still enjoy longer days than in Central Europe. After a hike, if there is still some time left, you can relax at a sauna or swim on the adjacent lake. At dinner, we finish the day with local specialties and reminisces of these wonderful days in Finnland. We return from Kilpisjärvi by shuttle bus to Kittilä and by plane via Helsinki to Zürich. Zurich Airport Departure 07/09/2018 at 10:55 am. Flight to Helsinki and Kittilä. From Kittilä we continue by shuttle bus to Kilpisjärvi. Accurate meeting place and time will be communicated to the participants later directly. 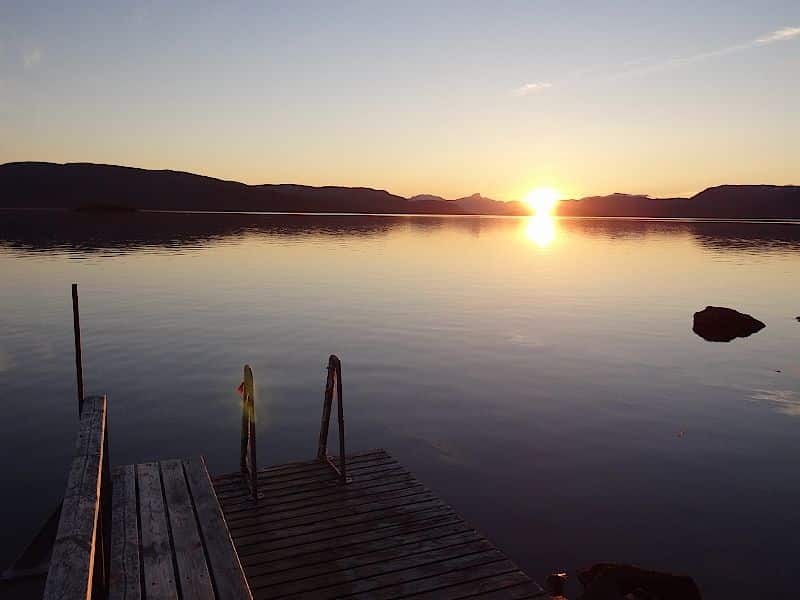 8 nights in a fully equipped apartment of a Mökki (typical Finnish log cabin) near the lake in Kilpisjärvi. Apartment for single use is also possible (extra cost-limited number). If you are 3 or even 4 people then you can all stay in the same blockhouse apartment, which includes up to 4 beds. The apartments have: sauna, shower, toilet, open kitchen (for self-cooking) and living room, dishwasher, stove, oven, refrigerator, kettle, kitchen utensils, TV and radio, clothes dryer, hair dryer and WiFi. EQUIPMENT: It is similar to mountain hikes in the Alps. Hiking boots with good treads. Together with the detailed information, you will also receive a detailed packing list. WEATHER: It is comparable to ours at the same time of the year in the Alps. It can change quickly. You can experience 3 seasons in one day, but the days are even longer than in Central Europe and in the sunshine, it can still be wonderfully warm. On the other hand, in bad weather thicker clothing may be necessary. -Kilpisjärvi is a very small village, but has a fairly large shop, where we can buy snacks. The shop is easily accessible on foot. 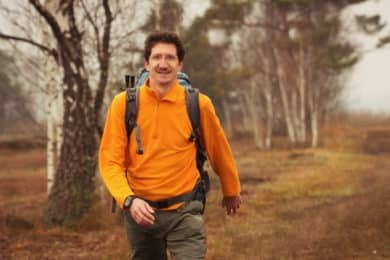 Markus Glättli, Hiking Leader with Federal Diploma of Professional Education and Training, Ranger BZW and GeoGuide Sardona. Let you whisk away in unique landscapes in Switzerland, the Cinque Terre, the Chamonix region or even Finnish Lapland. Learn stories, legends and interesting information and enjoy local delicious products of the region. Enjoy full service for individual customers, small groups or companies. Take the time and enjoy the beauty and uniqueness of unspoilt nature. Experience nature. I offer tours in English, German and French.